Rock climbing quickdraws are used predominantly by clipping one end into bolts, cams or nuts and the other end to your rope as you ascend a sport or trad climb. 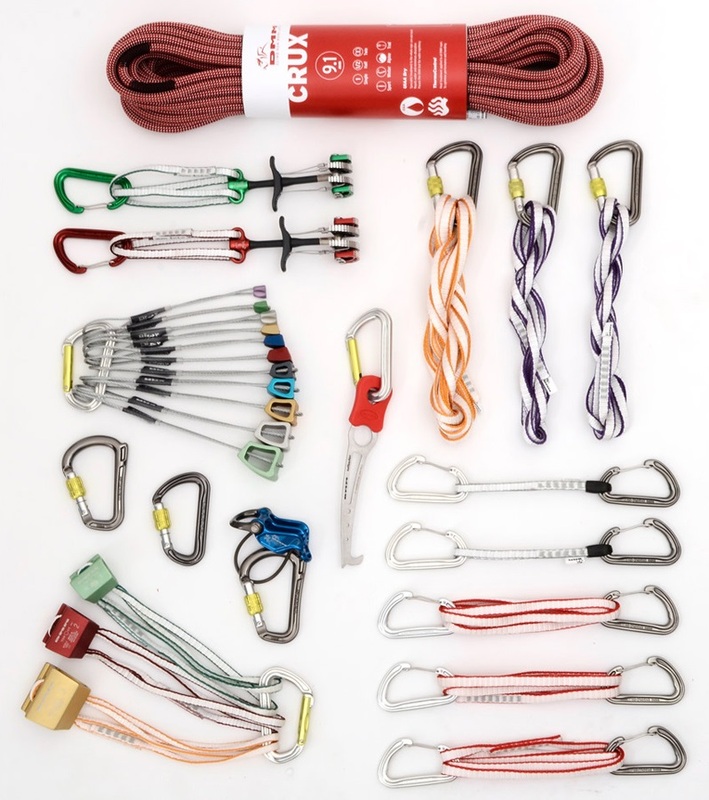 Every rock climbing rack needs a nice selection of quickdraws. We sell draws in singles or sets. Mix and match different lengths and widths to be well equipped for sport climbing, trad climbing and multi-pitches in all sorts of terrain. Great handling quickdraw from Salewa with dual wire gates for efficient clipping to give you the ultimate sport climbing performance! Multipurpose 17cm dyneema quickdraw from CT.
Lightweight quickdraw from Salewa with mixed gates for efficient clipping to give you dynamic sport climbing performance! Lightweight quickdraw with Captive Alpha system for added protection from cross-loading. Lightweight quickdraw with Captive Plume system for added protection from cross-loading. Featherweight 12cm quickdraw from CT.
Set of 5 - 18cm Shadow DMM quickdraws - ideal for onsight sport climbing. Set of 5 18cm Thor DMM quickdraws making up a burly yet light quickdraw set for sport, trad and winter climbers alike. 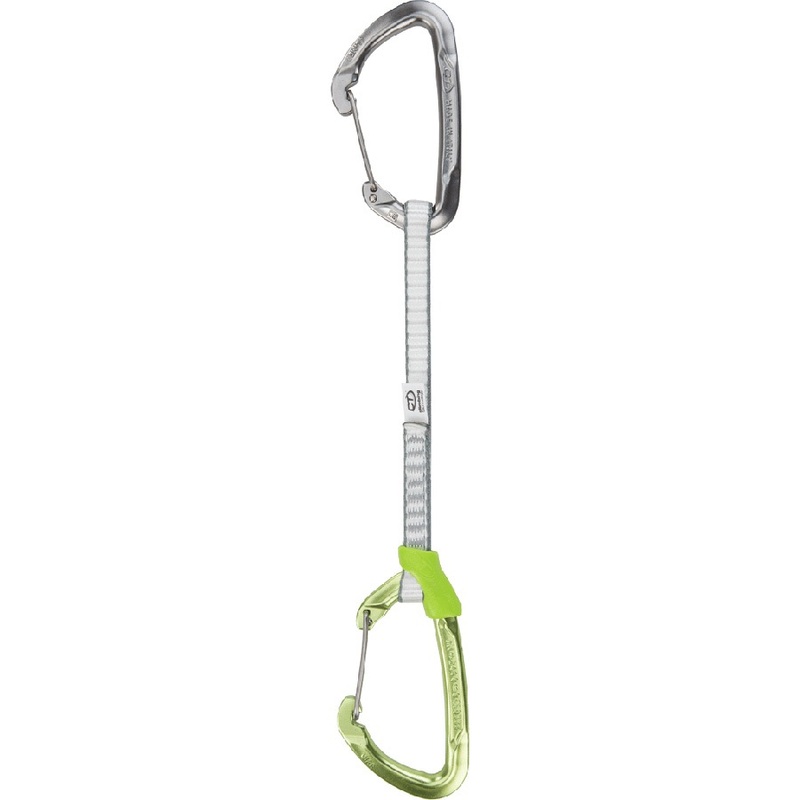 Great handling quickdraw from Salewa with one bent and one wire gate for efficient clipping to give you the ultimate sport climbing performance! The Beta Stick Project Brush extends up to 2.5 metres to allow for cleaning and prepping holds. Ideal for sports climbing, the Falcon QD PA 16mm 10cm is available in a pack of five! Straight gate and wire gate combo on a 10cm woven sling. Ultra Long Extendable pole for pre-clipping fixed anchors, quickdraw removal and prepping holds. Great value 12cm quickdraw 6 pack for sport and trad climbing. An essential addition to your rack weighing just 100g. Set of six lightweight Black Diamond Quickdraws. Amazing value set of 6 climbing quickdraws from Ocun. Lightweight quickdraw from Salewa with wire gates for efficient clipping to give you dynamic sport climbing performance! Climbing Technologies hot forged nylon quickdraw for intense use! Climbing Technologies hot forged 5 pack dyneema quickdraws for intense use! Featherweight 12cm quickdraw with new wire gate from CT.